Bedrooms: 3 Full Bathrooms: 2 Half Bathrooms: 0 Square Feet: 1,300-1,600 Lot Size: .73 Fabulous ranch home in Stonecroft with an open plan and a two car garage. 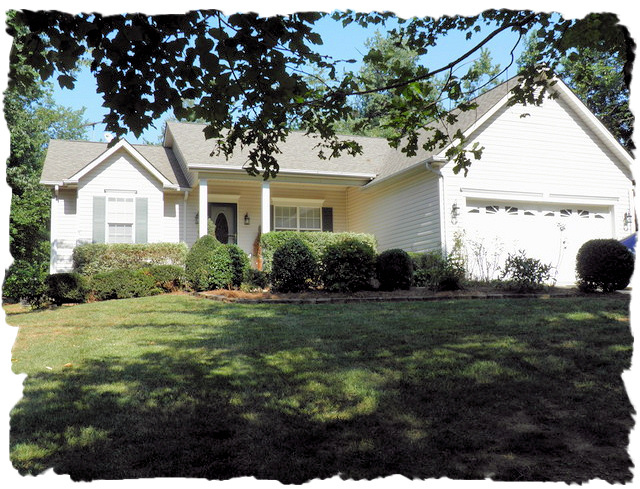 Hardwood floors, new carpet, fresh paint, new roof in August, and updated light fixtures. Large great room open to kitchen and features a fireplace. Split bedroom plan, rocking chair front porch, large deck and a private rear yard! Home in great condition. What more do you need? Some properties that appear for sale on this website may subsequently have been sold and may no longer be available. This entry was posted in Buyers, Denver - Listings, Denver - NC, Denver - Subdivisions, Denver - West Norman, Lee Ann Miller Team, Lee Ann Miller Team Listings, Lincoln County - NC, North Carolina, Real Estate - Buyers, Real Estate - Sellers, Relocation and tagged Buyers, Denver - Listings, Denver - NC, Denver - Subdivisions, Denver - West Norman, Lee Ann Miller Team, Lincoln County - NC, North Carolina, Real Estate - Buyers, Real Estate - Sellers, Relocation, Stonecroft homes for sale by Lee Ann Miller. Bookmark the permalink.